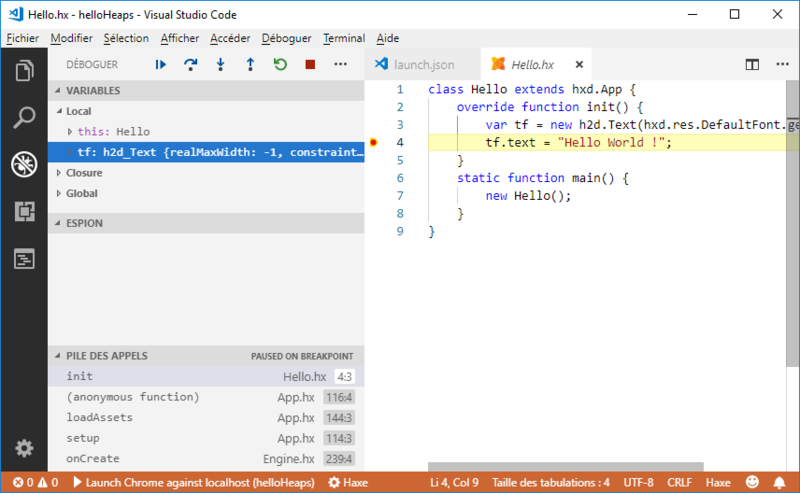 Now that you have installed both Heaps and Visual Studio Code, let's create a new Heaps application. 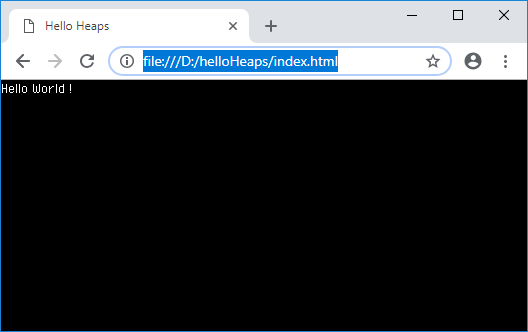 Create into it a file compile.hxml: this file will contain your Haxe compilation parameters and the libraries you are using. 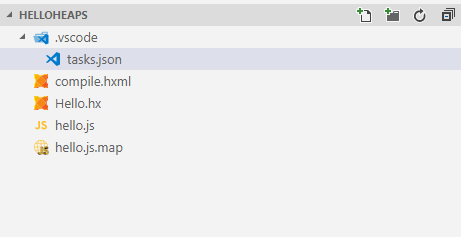 The -debug file allows generation of source maps in order to be able to debug your JS application. This example creates a Heaps Text component, adds it to the 2D scene s2d and set its text. Once installed, press F5 or do Debug > Start Debugging. This should give you the choice to Debug with Chrome. If not, restart VSCode so the extension is activated. 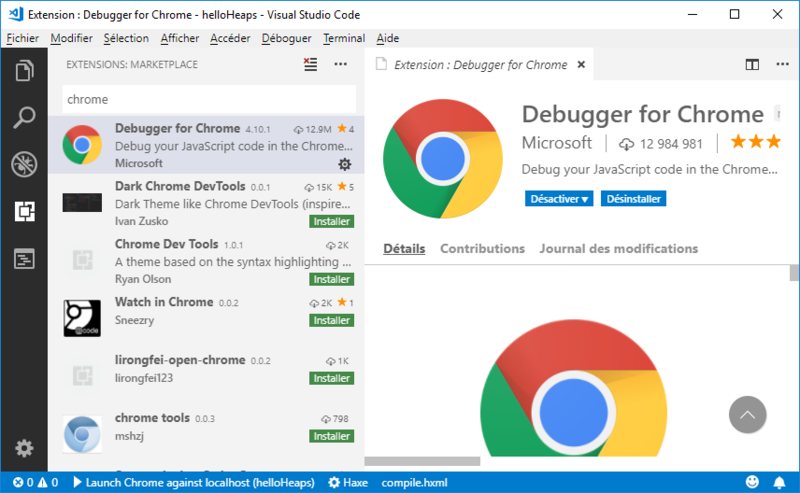 If you click on Chrome label, it will open you a .vscode/launch.json similar to the tasks.json we had earlier for compiling. You can put breakpoints into your Heaps application by clicking in the margin to left to the line number in your source code. You can then start again the problem and see it break at the desired position. Now is the time to do more! Use the menu to explore Heaps features and APIs.